Question: Has your district’s approach to students’ and staffs’ mental health shifted as the grieving process for many progress? Answer: We understand that the grieving process is unique to every individual and is continuously evolving, so cases are handled on a case-by-case basis. Through the coordinated response effort, the district has access to a wealth of knowledge and expertise on dealing with grief and assisting individuals through the grief process. All district wellness counselors participated in a multi-day training program focused on trauma and grief component therapy for adolescents. The four counselors added at Santa Fe ISD all have specialized backgrounds in dealing with grief and trauma and extensive experience working with individuals throughout all stages of grief. Question: In light of recent suicides of Parkland students, what is Santa Fe ISD doing to prevent this from happening? Answer: Enhancing mental health resources has been a primary focus for the district throughout the school year. Working collaboratively with our coordinated response partners we have comprehensive resources in place to provide support for staff, students, families and the Santa Fe community. As we approach the one-year mark we are ensuring that we are continuing to educate staff, parents and students about the resources available and we’re providing staff and families with the tools to appropriately address difficult issues like suicide with students. Question: Do more measures need to be put in place to ensure similar tragic events don’t happen around the one year anniversary? Answer: We meet weekly with a group of key stakeholders including our coordinated response partners, Santa Fe ISD Police, the Mayor and City Manager, Galveston County Critical Incident Stress Management, Galveston County Emergency Management and the Resiliency Center to ensuring we are prepared to meet the needs of the community through this difficult time. Santa Fe High School counselors have already received intensive suicide prevention training and all district staff are trained in mental health first aid to recognize students exhibiting signs of distress. The Santa Fe hotline continues to serve as an active resource for anyone needing support and the Gulf Coast Center mobile crisis outreach team is on call to provide immediate support to anyone experiencing an emergency level need. The Gulf Coast Center is also providing training to the City of Santa Fe Police and area first responders, focusing specifically on suicide prevention. Question: How can you be sure the resources you have in place are effective? Answer: We are working closely with our local mental health experts to ensure we are all prepared to meet the support needs of our community during this difficult time. We are collecting data on the usage of the resources we have in place and are continuing to dialogue with staff, parents and students to be sure we are providing appropriate support where needed. To date, approximately half of the students at Santa Fe High School have accessed the on-site counseling resources. Question: What does the community need to know about the resources available? Answer: This is a difficult time for all of us and we encourage our community to continue to come together and support one another. There is help and support available for anyone, 24 hours a day, 7 days a week. Take advantage of the resources available, check in on one another and utilize the tools and tips provided by our experts to talk with your kids. Anyone needing support and assistance should utilize the hotline 1-800-595-0869. Question: Where do I locate additional tips and resources concerning suicide prevention? Question: How do I donate to the Santa Fe Memorial Committee to help build a permanent memorial? Answer: The Santa Fe Memorial Committee was formed in August 2018 and consists of community leaders and members who have committed themselves to planning and designing the Memorial. The mission of the committee is to develop a consensus recommendation to create a physical, permanent memorial for our community to honor and respect those touched by the Santa Fe High School tragedy. Through the planning process, the Memorial Committee wants to honor those who died, those who survived and those who love them, and to provide comfort and hope for the community at large. As part of the process, the victim’s families, injured students and faculty, survivors and the Santa Fe community will be given appropriate, equal consideration in the Memorial planning, design and fundraising process. If you want to donate, go to http://santafeupdates.com/donations/ and complete the form. Why have the windows at the high school not been replaced? The window system at the high school was determined to be replaced entirely due to damage in the framework of the existing window system. The new window system was part of the Division One change order that was approved at the July 10, 2018 board meeting. The contractor, Division One, released the window company to begin engineering the new window system in July. The new window system had to meet current Texas Department of Insurance windstorm code and the engineering took about 3 weeks to complete. The shop drawings were submitted to Cre8 Architects and SFISD for approval on August 1, 2018. The shop drawings were approved and returned to Division One for manufacturing on August 8, 2018. SFISD, Division One, and Cre8 requested expedited delivery of this system at the time of ordering. Due to the window system being windstorm certified and meeting the Texas Department of Insurance wind rating the glass takes 8 weeks to manufacture. The window system supplier also had some supplier/manufacturing delays these last two months. The window system was ready to install this past weekend but with rain chances above 30%, the contractor has opted to wait. The rescheduled date is Monday, October 1, 2018 to get the window system completed. If the rain chances are below 30% the contractor will install the new window system. We want to continue to work with our families to address their concerns. What is Santa Fe ISD doing to ensure the safety of our children starting at the elementary schools up? Will high school start at the same time this year, since all students are checked in through metal detectors? Yes, the high school start and end times will not change. Santa Fe High School will start at 7:05 a.m. and will end at 2:35 p.m. The doors to the school open at 6:30 a.m. and the District’s goal is to have all students go through the metal detectors in 30 minutes. However, high school students are reminded to plan accordingly and arrive at school each morning by at least 6:45 a.m. to ensure they are in class for the start of school. With the decision to not make changes to the dress code, what is the plan to enforce the current dress code consistently? Before a student can enter the high school/junior high school and pass through the metal detectors, a staff member will check to make sure each student is dressed in compliance to the school’s dress code. Students are also checked in each of their class periods at the high school. A system is also in place to verify these procedures are being followed. Some parents have purchased backpacks with bulletproof metal plates. How will these backpacks work with the metal detectors? Are there alternatives to the metal plates that you recommend? Students wearing backpacks with bulletproof metal plates will need to remove the backpacks before entering the metal detectors. Experts recommend Cepher plates as an alternative for using metal plates in backpacks. What Safety and Security changes are being made at all Santa Fe ISD schools, in addition to the metal detctors that are installed at each school? With the exception of the alarm system with panic button features and the bullet resistant glass at the high school, all of the safety and security upgrades have been made at all Santa Fe ISD schools. All Santa Fe schools have security vestibules, and the two elementary schools and the junior high have perimeter fencing. How will the perimeter doors be secured to make sure everyone must go through a metal detector? The perimeter doors are locked, and students, staff and parents can only enter at one of the secured entrances. Further, someone is monitoring the cameras showing the perimeter doors for all schools to make sure no one attempts to enter one of the schools from an unsecured entrance. Doors at all schools have an electronic locking and notification system. Are all of the phones in classrooms working, and do substitutes know how to use the phones? Phones in the classrooms are working, and all staff members are trained to know how to use the phone system. Any issues with the classroom phones need to be reported to the campus administration in a timely manner so they can be repaired or replaced. Why aren’t teachers manning the metal detectors like they do in some of the other districts? At the high school and junior high, staff members are assisting with metal detectors and checking to see if students are in compliance with the Dress Code before they pass through the metal detectors and enter the building. What is the source of funding for the $1.5 million being spent to improve safety and security at Santa Fe ISD schools? The funding sources for the safety and security improvements at Santa Fe ISD schools include: District fund balance, grant funding and donations. What determines a decision to lockdown a school or to use other safety protocols to handle various situations? How do students experience the active shooter drills and how often are they performed? Safety is the top priority, and the District is always working to provide a safe and supportive learning environment for our students and staff. Santa Fe ISD has implemented Standard Response Protocols which is part of a nationwide effort to simplify and standardize emergency response in schools. Students and staff are trained in accordance to this system and regular drills are conducted. Who is responsible for developing, implementing and promoting safety programs for SFISD students? The District provides comprehensive training for all SFISD Police Officers that includes: all SFISD police officers receive ongoing ALERRT Level One and Two training; fire arms training; secure weapon and rifle training; participate in drills with all campuses and provide training on District crisis management to all staff. In addition, the SFISD police provide Civilian Response to Active Shooter Events (CRASE) training for the public and staff which is designed to build on the Avoid, Deny, and Defend (ADD) strategy developed by ALERRT in 2004. CRASE training provides strategies, guidance and a proven plan for surviving an active shooter event. Ongoing Safety & Security Assessments in K-12 school Districts are required under Texas Education Code 37.108. The District is required to complete and report audit findings once every three years to the Texas School Safety Center. Santa Fe ISD plans to exceed state requirements and conduct School Safety & Security Audits on an annual basis. Santa Fe ISD follows the model process and utilizes an audit checklist created by the Texas School Safety Center. Part of the process includes an Intruder Assessment in which all District schools and facilities are tested for perimeter security. Every SFISD facility and campus undergo an annual audit to assess risk and vulnerabilities. Resulting data is used to make improvements upon the safety and security of the facility. When will junior high students receive their ID badges? Junior High students are scheduled for school pictures tomorrow, August 23, 2018. The company taking those photos will be providing the campus with student badges. The company’s goal is to have the photos processed and the badges returned to the junior high as soon as possible. Did the Santa Fe Strong Safety and Security Committee bring forward a recommendation on whether Santa Fe ISD should consider using the state’s school marshal plan or a guardian plan to arm teachers or other civilian personnel? No, the Safety and Security Committee could be considering the issue, but it has not been brought forward at this time as a recommendation for the 2018-19 school year. What is the purpose of the donation of weapons, ammunition, equipment and training and other equipment that the Board of Trustees voted to accept as a donation at its Board Meeting on Monday, July 31, 2018? The Board of Trustees accepted the weapons, ammunition, equipment and training that will be used by the Santa Fe ISD Police Department for full-time police officers for the 2018-19 school year. What can I expect the dress code to be for my student for the 2018-2019 school year? The Santa Fe ISD Board of Trustees made no changes to the current student dress code, but instead charged the staff and administration responsible for working with students and their families to consistently enforce the dress code at each of the schools. The input the District received from the community was split concerning the use of clear backpacks, and the Board did not vote to change the current policy requiring the use of clear backpacks. To that end, any future consideration for the use of backpacks would be discussed if donated backpacks become available for all students. We know that many of you are preparing for the start of school, and we do not want to add any financial burden to purchase backpacks. How do I find out more information regarding the work of the Santa Fe Strong Safety and Security Committee? The work of the Santa Fe Strong Safety and Security Committee is vital to develop meaningful and action-based recommendations to improve the District’s safety and security plans. The Santa Fe Strong Safety and Security Committee held its third meeting on July 12, 2018. The committee discussed life safety topics and recommendations for implementation for the 2018-19 school year. These recommendations will be presented to the SFISD Board of Trustees at a Special Meeting on Monday, July 16 at the Elizabeth Yaws Cowan Education Center at 5:00 p.m. Check the Santa Fe ISD Interactive Web Portal at santafeupdates.com under the SF Safety and Security Tab to read the July 12 meeting summary notes. Who is providing support and financial assistance to the families of the victims and those injured in the tragedy at Santa Fe High School on May 18, 2018? What is the National Compassion Fund? The National Compassion Fund (NCF), a subsidiary of the National Center for Victims of Crime, is a leading authority on how victims are compensated for loss. The NCF will advise the steering committee, assist with ongoing fundraising efforts, and administer victim application and vetting processes. The NCF will also coordinate the distribution of proceeds from the Santa Fe Texas Education Foundation’s official campaign, other fundraisers, and third-party donation sources. GoFundMe will advise the Santa Fe Texas Education Foundation and support both ongoing fundraising and distribution of proceeds to victims and their families. One hundred percent (100%) of the donations will be distributed directly to the victims and their families. 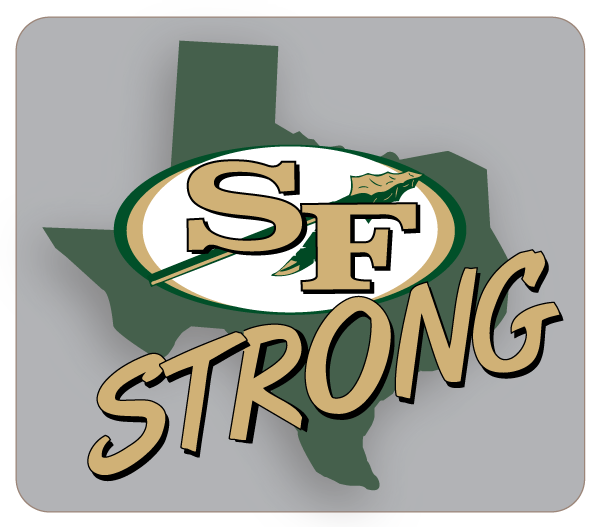 To make a contribution, you can donate online to the Santa Fe Strong Fund (Santa Fe Strong Fund), in-person at any Texas First Bank banking center or by mail (checks should be payable to Santa Fe Texas Education Foundation), and mailed to Texas First Bank, Santa Fe Strong Fund, P. O. Box 608, Santa Fe, TX 77510. What support services are available for students, staff and the community? To ensure continuity of service, the Family Assistance Center will transition to the Santa Fe Strong Resiliency Center on Wednesday, May 30. The center will continue to operate at Aldersgate United Methodist Church in Wesley Hall (13217 FM1764, Santa Fe, TX 77510). The center will be open Monday through Saturday 10 am-7 pm and Sunday 1 pm-7 pm. Who is managing donations and support for the families? Thank you for your questions and the outpouring of support for the families of the victims. A case management team is working directly with the families of each of the victims and providing them with the resources they need. Where can I go to make a donation? You may make donations at http://santafeupdates.com/donations/. Where can I go to ask a question? You may ask questions at http://santafeupdates.com/contact-us/. Where can I send the media for information? You may send media and members of the media to http://santafeupdates.com/media-requests/. Where can I call if my child or I have information pertaining to the incident?